The peoples and worlds created by J.R.R.Tolkien are so vivid that artists have been trying to capture them on canves and parchment and sketch pad since Tolkien's works were first published. From the early artists like Pauline Baynes and the Brothers Hildebrandt, to the Tolkien masters of today...the likes of Lee, Howe, and Nasmith...they all breath life into the places and characters created by Professor Tolkien...gloriously so. Miss Baynes' pictures must have reached Merton on Saturday; but owing to various things I did not see them till yesterday. I merely write to say that I am pleased with them beyond even the expectations aroused by the first examples. They are more than illustrations, they are a collateral theme. I showed them to my friends whose polite comment was that they reduced my text to a commentary on the drawings. And much the same can be said about all the truly great Tolkien artists. In this thread, it is perfectly permissable to post examples of the Tolkien artworks found in proliferation on the internet...as long as you diligently follow the these guidelines as well as those posted in our House Rules. :arrow: No pictures can be wider than 575 pixels. DO NOT HOTLINK to pictures posted on other Tolkien sites. ALWAYS credit the artist when posting your pictures. Much of the Tolkien art of today is extraordinary. We hope you will join us as we highlight and discuss Tolkien art and artists. I’m one lucky person! I managed to get my grateful hands on a copy of Alan Lee’s wonderful new book The Lord of the Rings Sketchbook at the Recent Fellowship Festival in London and it was signed for me by the man himself. Am I a fan? You bet I am. For anyone who loves Alan’s wonderful watercolours in the Centenary Edition, his detailed and, quite frankly, awe-inspiring contribution to Peter Jackson’s films and the often overlooked art of pencil drawing, this is a must. It is a beautiful looking book, bound like a well-loved-carry-it-everywhere sketchbook with a silk bookmark and a nice touchy-feely matte cover with raised title and image. It feels special and it really is. I love Alan’s paintings, but his pencil drawings are, for me at least, even better. He is masterly in the way he conjures up vast landscapes viewed from dizzying heights with soft, broad strokes. He pulls detailed portraits and architecture from soft, wandering lines as though seeking them within the paper. While working on some major drawings his pencil creates faces around the margin as though his hand can’t stop drawing while he thinks. Most of the text and many of the drawings relate, of course to the films, but the drawings go far beyond what we saw on the screen and there is much else besides. Two exquisite drawings of Goldberry, Tom Bombadil in his jaunty hat, the Barrow Downs, a drawing of what the Witch-King would have looked like coming through the shattered Gate of Gondor with Grond looming above him, an orc crushed in the roots of a Huorn, the Stone of Erech. Even better there are colour plates of some (but I wish there were more) of the Centenary Edition watercolours with the working drawings beside them showing how they evolved and how they might have looked if a different idea had taken flight. I especially love the drawings of Gandalf with Frodo at Bag End where we have two versions, both of which work for me. The text is informative about Lee’s creative process and full of gems. He admits he is hopeless at using lists and draws what he needs to take on a trip inside a suitcase. And we discover that Kiran Shah, an old friend of Alan's, was his original hobbit inspiration long before he was ever cast as Frodo’s scale double. I’ve picked up this book countless times since I bought it, looking at the drawings again and again. The book will be published on October 19th by HarperCollins and for those of you who are fans of beautiful art, Tolkien’s breathtakingly detailed world or of this quiet and unassuming man then this is a real treat to brighten up the dull autumn days. What a treasure you have, Iolanthe, both the book and the memory of Alan Lee's autograph. He does seem like a gentle soul. Iolanthe~ SO looking forward to this book!! I met Alan Lee earlier this year and got his autograph in the ART of the RoTK page w/ his sketches of the cast. ( Plus my LoTR Symphony poster). He did a wonderful talk/presentation !!! You won't be disappointed, Varda! Any plans for an official website dedicated your work? I hope it's something we will see soon, it sounds wonderful . You are so lucky to have a copy already! And signed! It went on my Christmas list as soon as I heard about it - many heavy hints dropped to entire family. Alan Lee is such a gentle and sweet person. And such a fabulous talent. I did not know when I first saw the film of FoTR that he and John Howe had been hired to do the designs, and wondered why everything looked so familiar and just so right. My son and I were lucky enough to meet Alan Lee in Wellington in December 2003. He signed my son's autograph book AND did a lightning quick pen drawing of Gandalf on the page. Now that is precious! He's really lucky, Lorien. I wanted to ask him to do a drawing on my copy but didn't dare! I understand that a few people who pre-ordered The Lord of the Rings Sketchbook from Amazon have already received their copy, but there are no guarentees of course. 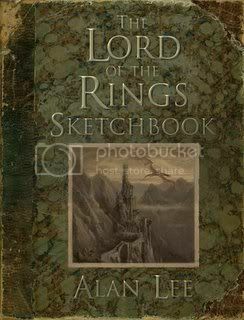 Iolanthe wrote: I understand that a few people who pre-ordered The Lord of the Rings Sketchbook from Amazon have already received their copy, but there are no guarentees of course. Now here's a thing: I just looked on Amazon with a view to adding this book to my wishlist (I don't consider myself artistic but all this enthusiasm is catching ). Amazon have two versions for sale: one called the LOTR Sketchbook: Portfolio published by HarperCollins on 5th Sept, and one called the LOTR Sketchbook to be published by Houghton Mifflin on 19th Oct. I'm wondering if the book has come out in the UK earlier than in the US. Presumably yours is the Harper Collins one, Iolanthe? please confirm, so I know which one to add to my wishlist! He looks harmless in the picture Mar. marbretherese wrote: Now here's a thing: I just looked on Amazon with a view to adding this book to my wishlist (I don't consider myself artistic but all this enthusiasm is catching ). Amazon have two versions for sale: one called the LOTR Sketchbook: Portfolio published by HarperCollins on 5th Sept, and one called the LOTR Sketchbook to be published by Houghton Mifflin on 19th Oct. I've seen that too, and it's very confusing. I admit I don't know what the difference is! Mine is the HarperCollins edition (supposedly 5th Sept) and it is a UK edition. I shall do some rooting around and pm you if I solve the riddle . Perhaps Iolanthe he is smiling because you were speachless? So what do you all think of the Carter-Hitchin illustrations at the beginning of all the threads? The more I look at them, the more I like them! Philipa wrote: Perhaps Iolanthe he is smiling because you were speachless? actually I was gabbling away at the poor man. And he was still really charming . Merry wrote: So what do you all think of the Carter-Hitchin illustrations at the beginning of all the threads? The more I look at them, the more I like them! I love them! I wasn't familiar with them until we used them here and I think they are quite beautiful. 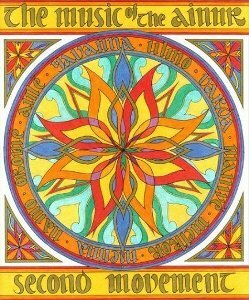 The one on this thread has the feel of Tolkien's own symbolic roundels. I think I need to go away and find out some more about the artist as I'd love to see what else she has done. Becky Carter-Hitchin has her own website here where you can see all her pictures together with a bit more inforamtion about them, but there is nothing about her, alas!